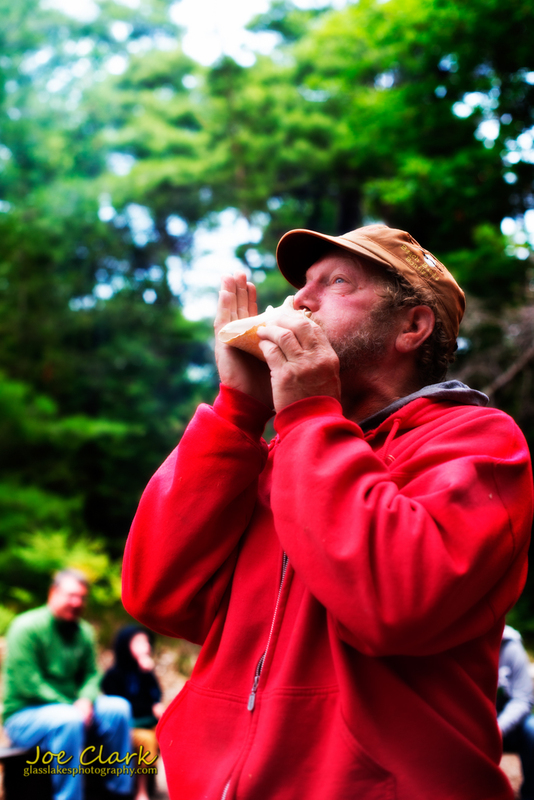 Norm Wheeler starts the children’s’ hour of Beach Bards last Friday night with the traditional conch shell. The bards are hosted at The Leelanau School during the summer months. Located at the fire pit and performance area on the boardwalk near Lake Michigan this noisy bunch is hard to miss.